LITE.HOST Review 2019: Is LITE.HOST a Good Hosting? 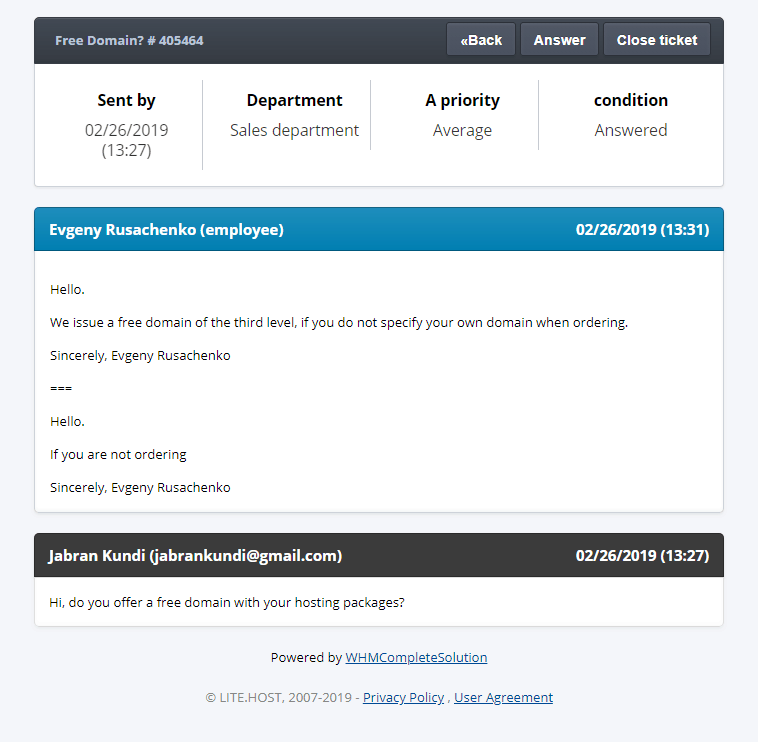 Russia based LITE.HOST is an affordable and feature-rich hosting option but lacks the support for e-commerce. LITE.HOST is based in Russia with servers also present in France and Germany. It was formed in 2007 and has since acquired over sixteen-thousand customers hosting over eighteen-thousand websites on its servers. It employs equipment from DELL, Intel, Supermicro, and HP to ensure high quality of service to its customers. When the average website owner looks for a website hosting service, he often considers the ease of use. And in that respect, LITE.HOST does disappoint. It doesn’t offer any one-click applications installer which is a must have these days for any hosting company. On its FAQ page, it does mention support for installing some CMS within a few seconds. You should, however, make sure that this support is offered in your hosting package as well, as not everyone can access this feature. Similarly, there is no basic website builder, another disappointing factor for those users who do not have any programming knowledge. For the more technically knowledgeable users, there is a variety of control panels to choose from including cPanel, DirectAdmin, and ISPmanager. One of the issues people usually report with shared hosting is downtime because someone else was using all of the resources on the server. LITE.HOST ensures you get your share of the server by creating limits for other users. For instance, in the most expensive package, users can, at most, use 50% of the core, 640MB RAM, and 240,000 files in addition to a limit on the number of connections and processes they can run at a time. LITE.HOST’s hosting packages are priced below the industry average and offer great features in return. There are three different plans: Master, Professional, and Corporate. None of the packages offer unlimited storage or add-on domains, but they do offer unlimited bandwidth, databases, emails, and ten, twenty, and thirty add-on domains respectively. These features are more than enough, even for multiple websites owners, provided they do not need too many resources to run their websites. I was also surprised to see that there were different packages for beginners, which offer limited resources. You can host up to five domains in the beginner packages using up to 2GB of disk space. The beginner packages come at a bargain price, so if you only have a few websites to host, you could consider them and save some money. LITE.HOST does not offer any money-back guarantee. However, you can terminate your contract at any time and get your unspent balance back. This allows you to opt for the service without worrying about losing all your money in case the hosting service doesn’t work out for you. Simply fill out the contract termination form and get most of your money back. There is no live chat when it comes to customer support, but the ticket support system is available 24/7 and support can be reached by phone and email as well. I sent them an email using the contact form on Sunday but unfortunately didn’t get any response during the next 48 hours. On Tuesday, I sent an email using their email id and immediately got assigned a ticket number. Within the next two minutes, I got their response which was great. This leads me to believe that support isn’t really offered on the weekend. The website doesn’t mention that information and my query didn’t get answered either. The fast response time is impressive, though, and a good sign for the customer. Moreover, the response came both in Russian and English, which is another positive sign for international customers. Just like many other website hosting services in Russia, LITE.HOST is affordable and offers great features. It isn’t the ideal host for those with no programming background or for e-commerce solutions, but for those with simpler requirements, it offers a great service. 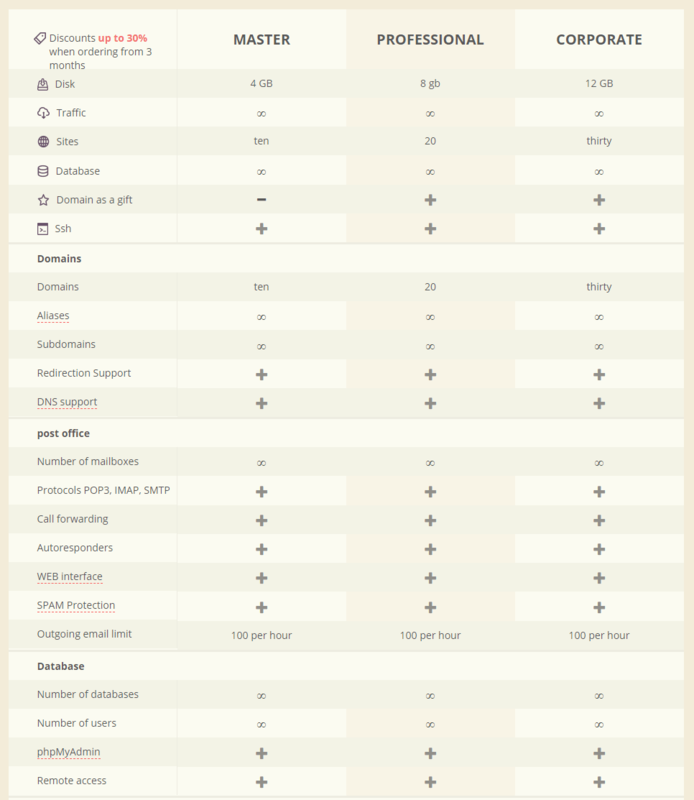 Wondering how LITE.HOST stacks up against other Web Hosting companies? Enter any other Web Hosting company and we will give you a side-by-side comparison.